Anyone with military service is familiar with the phrase, “hurry up and wait.” It’s a fact in the life of a soldier to prepare for something big and then wait until your leaders are satisfied with conditions and the command is given to move out. This time is often spent by young soldier speculating and reflecting especially when the hurry up and wait is in anticipation of combat operations. As to our destination we are entirely ignorant, some say one place – some another, but none know. The regiment had been anticipating a movement for many days and their leaders had prepared by ordering “to keep three days rations cooked in advance so as to be ready to start at a moments warning.” Just the day before he wrote this letter, Oliver and his fellow soldiers were told that tomorrow would be the big day only to experience more disappointment in the morning. But when the reveille was beat the order to strike tents was not given as had been expected, and it was shortly given out that we should not be able to go aboard this forenoon on account of the wind which was blowing a strong northeaster at the time. The volatile North Carolina weather had once again caused more hurry up and wait for the Union forces. However, Oliver used this occasion to rely the latest news from camp to Abbie including the word of several resignations among the officers of the regiments. In addition to the resignation of Capt. Fowler already mentioned in his letter of February 27, 1862, Oliver also includes that “Capt. Nash and a couple of Lieut’s. have gone home.” Captain Charles W. Nash from New Hartford enlisted on 25 September 1861 as the Commanding Officer of Company C, 8th CVI. He resigned 2 March 1862 at Roanoke Island, NC. It is rumored that the Col. and the Chaplain are both going home, also several others. The reason assigned for the resignation of the Col. was that Gen. Burnside had given him particular fits about the way he had conducted the regiment. The Colonel of the 8th CVI at this time is Edward Harland and he did not resign. In fact, he would rise to command the entire brigade by the Maryland Campaign. 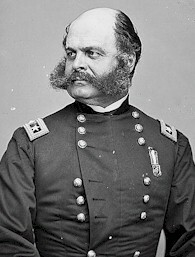 Whatever performance deficient that may have existed in the mind of Ambrose Burnside was obviously corrected and Harland was well respected as a leader. As for the chaplain, Oliver’s information was much more accurate. 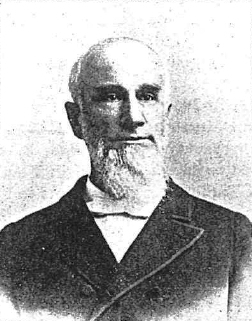 The 8th CVI chaplain was Joseph J. Woolley of Norwalk who mustered into the 8th on October 5, 1861 and did resigned on March 13, 1862. The roster of the regiment lists health problems as the reason for his resignation. The Gen. looks out for this men and woe be to the officer under him that tries to “rough it” on them. When we first came here we had some salt junk that was cooked up for two or three days rations and put hot into barrels, and before we ate it up it was a little tainted around the bones. The Gen. found it out and gave the commissary to understand if it happened again he could march. His men were not going to eat stinking meat. After all the rumors and reflection, it seemed that the soldiers of the 8th were moving much closer to ending this episode of hurry up and wait. I think in all probability we shall not go aboard before morning although we are prepared to hear the order any moment to “strike tents in fifteen minutes.” I have just stopped writing to take some cartridges from the orderly to make up my forty rounds.